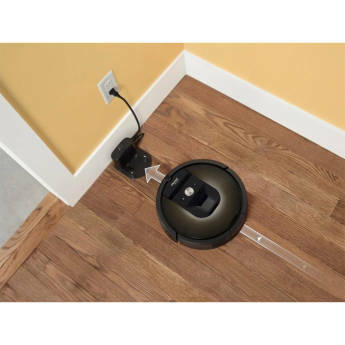 The Roomba 980 improves upon its predecessor in a number of ways. Its mapping technology is better, it definitely picks up more pet hair, and you can start it remotely. However, it’s also $200 more, and the last feature just isn’t enough yet. iRobot's Wi-Fi-enabled Roomba 980 is an exciting hunk of next-gen vacuum tech, but it didn't wow us during testing. I'd hold off on this pricey automated floor cleaner until we review Neato's Botvac Connected and Dyson's 360 Eye. 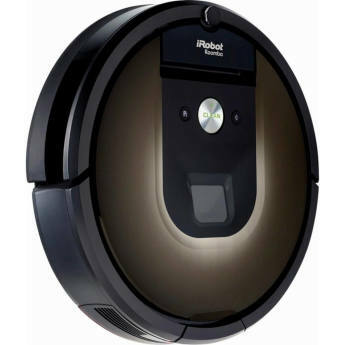 iRobot gives its $900 Roomba 980 a brain power boost with a lithium ion battery, additional sensors, a camera, and Wi-Fi and app connectivity on Android and iOS devices. 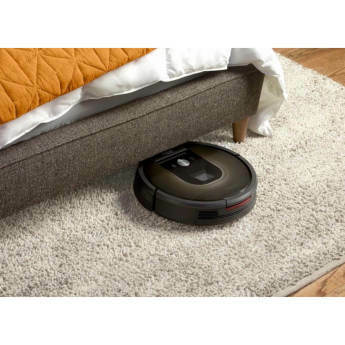 It didn't perform as well as the $700 Roomba 880 we reviewed in 2013. We also want to see features like a remaining battery life readout, push alerts and third-party integrations added to the iRobot Home app. 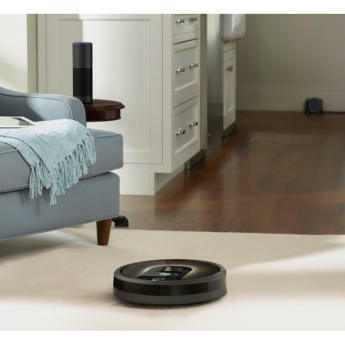 The long run time and the intuitive navigation of the iRobot Roomba 980 makes it a great choice for those with larger homes or multiple rooms -- or both. It syncs to your smartphone so you can start it from anywhere. I thought I’d take a break for a minute while I still sort out my next piece for the Building a Smart Home Series, and talk about something in my house that is both smart & practical. 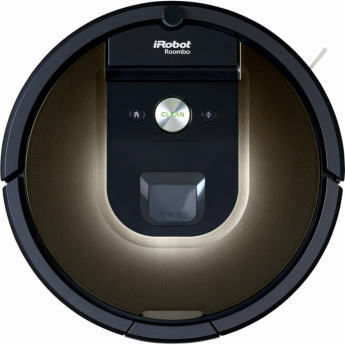 I’ve been using for the last couple months the Roomba 980 robot vacuum and I must say I think I’m impressed. We have a ritual in my house. I bring home a random gadget, deposit it somewhere in my home and my wife asks me what it is, gives me side-eye and then ignores the gear until it is removed from the premises. You can control this Roomba even if you're not home. 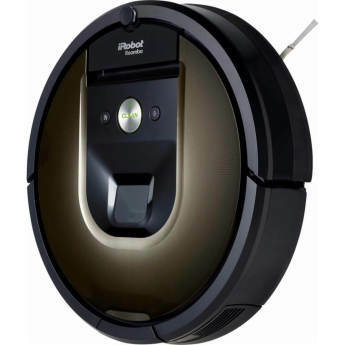 I debated whether or not to pay the extra $200 for the Roomba 980 over the 960, and in short, I am glad that I did. Our main floor is 2,000 sq ft, mostly hardwoods, although some carpet & rugs. Very happy with this product. We use it every day and it continues to amaze use on how much dust and dog hair it picks up. It does have a problem with some of our carpet fringes but based on reviews not as bad as competitive units. I've been using this Roomba for a month now. I want to like it, but it has too many issues. You can program it to come on at particular time for any given day. However, you can't set a window or tell or when NOT to stay on. I absolutely love my Roomba 980!! I actually don't know I've survived this long without it having three kids and three mini Australia Shepherd's in our house. It does amazing work and I'd buy another one in a heartbeat! I have a bad back and its hard for me to vacuum. I absolutely love my Rumba. My house is looking so good. Im so glad she is going under the furniture, I havent been able to. I would not give her up for anything and if she breaks I will buy another one. The purchase of this Roomba is easily the best purchase for Home Care that we have made in quite some time. The ease of use, the convenience, and the Carefree aspects and this machine cannot be overstated. I would recommend this to quite literally anyone. I use roomba every few days while I'm away from home. I love that I can use the app to start/stop it, to view where all it has cleaned, and to receive notifications of any problems/jobs completed. It is expensive, but so far it's been worth every penny!